In the world of dietary supplements, D-ribose is a less well-known energy booster consisting of a type of carbohydrate. In your body, D-ribose plays a crucial role in increasing cellular energy by helping your body produce a high-energy molecule called adenosine triphosphate. The body makes its own ribose from glucuse through a complex molecular process, but some people take D-ribose supplements to boost cellular energy. Taking D-ribose may cause mild side effects, so talk to your health care provider before taking it. D-ribose is often taken for sports performance, but it may not produce any athletic benefits. A study published in the August 2006 issue of the Journal of Strength and Conditioning Research concluded that taking D-ribose supplements has no effect on exercise performance. D-ribose is also taken to improve energy in people with chronic fatigue syndrome. A study published in the November 2006 issue of the Journal of Alternative and Complementary Medicine confirms that it significantly reduces tiredness in chronic fatigue sufferers. D-ribose side effects are typically mild and gastrointestinal in nature. The risk of side effects increases with larger doses and may go away as your body gets used to the supplement. D-ribose may cause bloating, abdominal discomfort, loose stool and nausea, according to a review published in the July 2007 issue of the Current Sports Medicine Reports. Reduce your intake, or discontinue use if these symptoms become bothersome or don't go away with continued use. According to the Current Sports Medicine Reports review, clinical data shows D-ribose may lower blood sugar. The authors theorize that D-ribose may improve your body's ability to get glucose into cells where it can be used as energy and out of the bloodstream. This means caution is necessary if you have diabetes and are currently prescribed medication to control your blood sugar. Taking D-ribose while on glucose-lowering medication increases the risk of hypoglycemia, when your glucose levels fall below normal. It's unclear whether D-ribose increases energy in healthy adults. If you're looking for a natural energy-boosting supplement, consider ginseng. Panax ginseng fights mental fatigue and boosts brain performance, according to a study in the American Journal of Chinese Medicine published in 2009. If you find yourself having energy slumps in the afternoon, try increasing your fiber intake, which helps provide more sustained energy. Oatmeal, lentils, black beans, brussels sprouts, edamame, ground flaxseeds and dates are good options to work into your diet. Current Sports Medicine Reports: Ribose: More Than a Simple Sugar; Teginder Dhanoa M.D. et al. 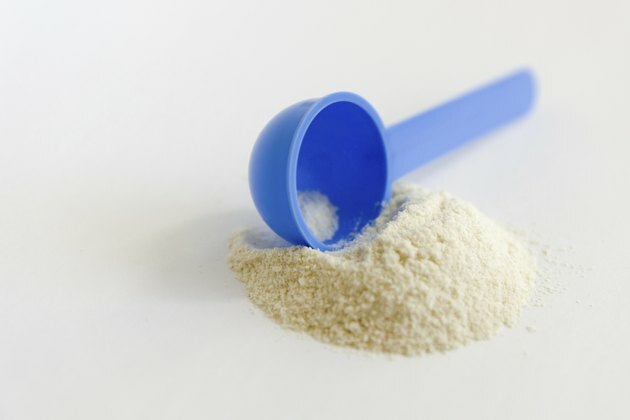 The Health Benefits of Ribose: The All-Natural Energy Booster; Paul Addis, Ph.D.
Should Dextrose Be Taken Before and After a Workout?